Most of us want to save money. I don’t think I’ve ever heard anyone say that they want to spend more money. Maybe they want things that cost money, but they don’t want to actually spend the money. There are so many resources for saving money that it can sometimes be overwhelming. 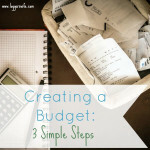 How do you want to budget? Do you want to use coupons? Are you trying to pay off debt? So many different questions and things to think about. 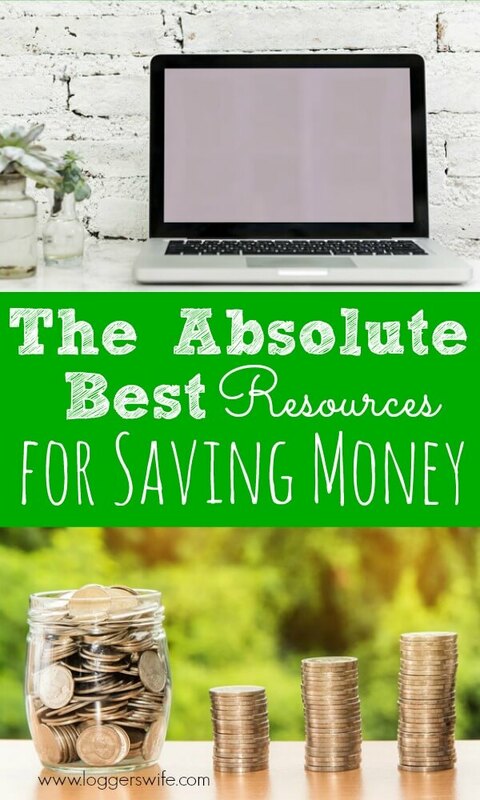 To help take the overwhelm out, I have put together a list of the absolute best resources for saving money. Some are courses, some are articles, some are budgeting programs, all are super helpful. Every Dollar is an amazing budgeting program. It’s created by the people at Dave Ramsey’s company, Ramsey Solutions, so you know it’s going to be good. I used to use an Excel spreadsheet but once I started using Every Dollar, I got hooked. Best part? It’s free!! You can pay for Every Dollar Plus which connects to your bank account. I used a free trial of it and decided I preferred the regular version. With Plus, you have to wait for things to clear your bank account before they show up in the app/on the website. I didn’t like waiting and like to put things into the app as I spend. But for under $10/month, worth it if you like that convenience. There are so many books on saving money, getting out of debt, frugal living, and so on. It’s a hugely popular category. There are even lots of books on my “to read” list that in that category. Of the ones I’ve read, these are the best I have found. Living with Less So Your Family Has More was one of the first ones I ever read. I still go back and read it every so often. It really helps shift my mindset when I need it. My latest favorite is More Than Just Making It. This book goes beyond the basic how to save money and really goes into the emotions of a mom who had to be on a super, super tight budget. She even touches on having to get some state aid. Beautifully written and a wonderful read. On my “want to read” list is Rachel Cruz’s book, Love Your Life Not Theirs. Frankly, jealousy of what other people can afford is something I really struggle with. I want to be able to buy new electronics and have my house be completely up to what I want. I can’t wait to read this book and help myself with my own issues with comparison. There are so, so many frugal living blogs out there besides mine (of course, I think mine belongs on this list but you’re already reading it!). Of course, Money Saving Mom has to be on this list. She is one of the best-known money bloggers out there and is so relatable. I love her Instagram stories. Don’t Waste the Crumbs is another great one that centers around living on a budget while eating real foods. Six Figures Under is another great one. Her story is inspiring and so relatable. 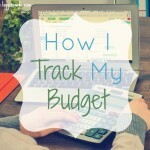 The Busy Budgeter is another well-known money blogger and for good reason! Great tips there. Frugal Debt Free Life is also amazing. Great, great tips and Lydia is just so down to earth and fun. I consider her one of my blogging friends. If you like to learn with classes, there are a few options out there. Obviously, Financial Peace University is a great one. You can take it at home but I highly suggest taking it in person with other students. My husband and I took this course the fall of 2017 and it was great to have him come on board with the money stuff instead of leaving it all up to me. Cash Fueled Life is a great course to take online and is really affordable too. It consists of 10 lessons and is easy to follow. At the time of writing this, it is only $29. So worth it! Kim teaches you why to set up a budget with cash and then walks you through how to do it and how to succeed. As I discovered, sometimes using cash really does help you save money. It certainly doesn’t replace FPU but it does have a similar concept at a fraction of the cost. 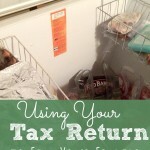 Grocery Budget Makeover is another great course for helping you save money. Right now, it is only open certain times of the year but you can get on the waiting list for when it opens again. One of the best things about smartphones is all the money saving apps! It seems like there are constantly new ones being released. With so many of them, it’s hard to know which ones are the best. I did already do a post on my top picks so I won’t go into great detail again. Ibotta and Checkout51 still top my list, as does Receipt Pal. I’m currently trying out Dosh. Not sure how I feel about that one yet. What list of resources for saving money would be complete without a few cashback website options? Ebates is one of the of the most well-known ones. It has been around for a while. When you sign up, you get a $10 bonus just for joining! You do need to spend $25 without the first 90 days of joining but that’s easy to do when online shopping. TopCashBack is another great one. I’ve only discovered mine in the last few years but it’s awesome. By following my referral link, you get a $5 signing bonus…which isn’t as much as Ebates but they do something different from Ebates. With TopCashBack, you have the option to cash out with an Amazon or Walmart gift card instead of cash. If you choose Amazon, you actually get a 3% bonus and with Walmart, a 1% bonus. For cash or Amazon, there is no minimum cashout amount either! 3% may not seem like much but you are getting even more back that way, just for shopping. 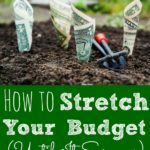 With so many resources for saving money, it can be a great time to be a living on a budget. It can also be overwhelming as you can get caught up trying to use everything possible. With this list, you’ll be able to get past the information overload and get on to saving money!